George is almost done, final border to go and then the quilting. My good friend Marie Cini is going to quilt a Baptist Fan design on George. Classes are all going well, although quite wet in some areas, but we have our priorities right, sewing first. Should have given the quilt a press, but there you go, I didn't. Our convict quilt challenge has started. 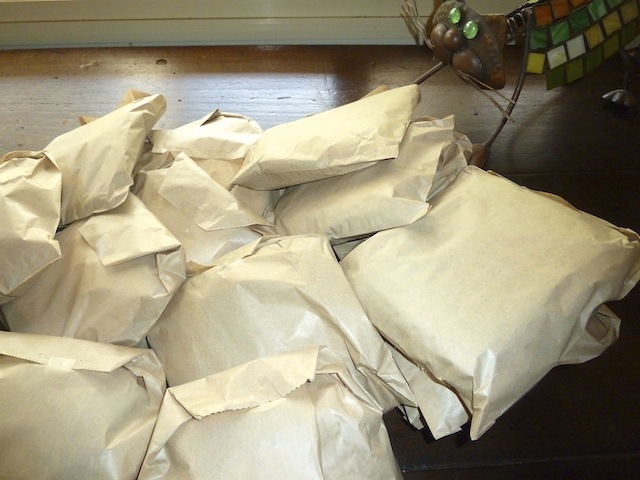 Everyone arrived with their 4 half pound bags of fabric ready to swap. 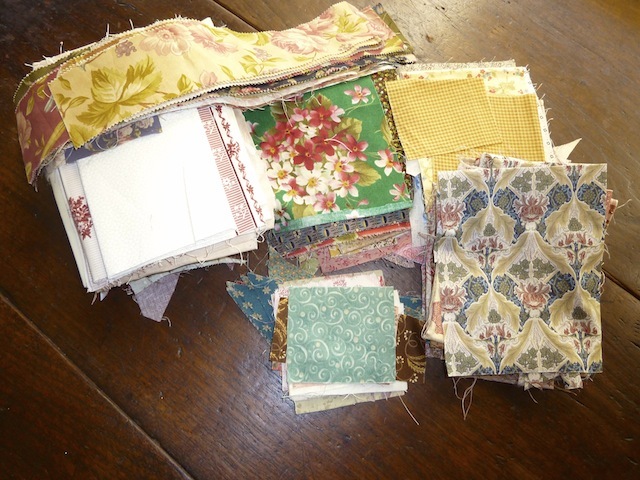 We all took four bags from the pile and accepted with good humour our lot of fabric. I imagine when the girls got home and had time to reflect, there could have been some gnashing of teeth and pulling of hair. Below is my challenge bundle. It will be interesting the next time we meet to see what direction everyone has decided to go with their quilts. My first class of the year yesterday and the room was buzzing with excitement. There were new girls who hadn't done a class with me before and girls from previous years. I decided in one class to cover three of my quilts, why I will never know. Although I was a bit bud eyed by the end, it was a great feeling to be back amongst old, and new friends.